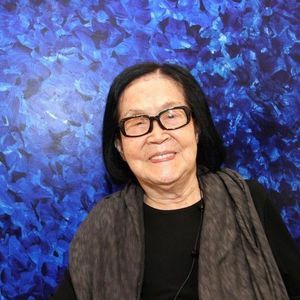 RIO DE JANEIRO (AP) — Tomie Ohtake, the celebrated Japanese-Brazilian artist known for her bold, primary colored abstract paintings and gravity-defying monumental sculptures, has died, the institute bearing her name said. She was 101. In a statement, the Tomie Ohtake Institute said the artist died Thursday at a Sao Paulo hospital from septic shock brought on by pneumonia. Add your thoughts, prayers or a condolence to Tomie's guestbook. "Tomie Ohtake's art is very abstract and unique. Being artists, we grow to understand that art is not limited to one style. Art is a personification of your emotions. It takes an artist to truly ..."
"Our prayers are calling out the individual names of all those who have come to know and love Tomie. Though we have all been touched by death in some form, we are never used to ..."